Rev. Martin Luther King marches down Woodward Ave. during the Walk to Freedom on June 23, 1963. Two months before his famous speech at the Lincoln Memorial in Washington, D.C., Rev. 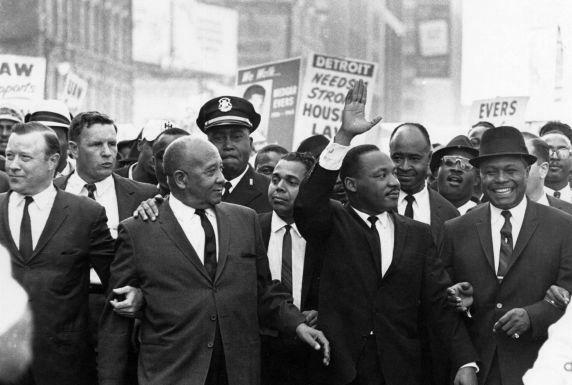 Dr. Martin Luther King, Jr. led marchers down Woodward Ave. in Detroit. Rev. 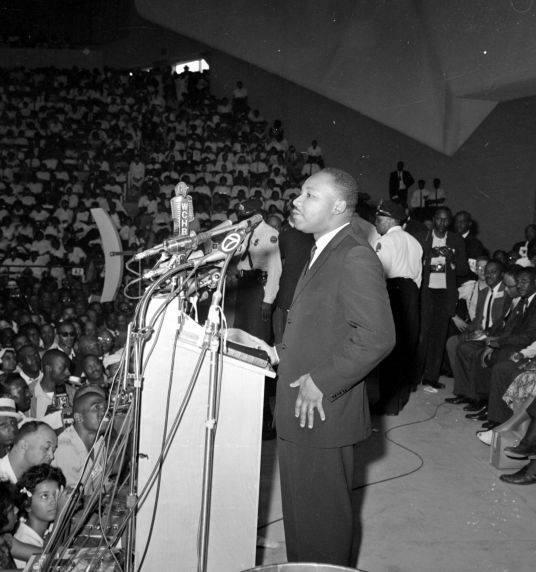 Martin Luther King Jr. speaking at Cobo Hall in Detroit on June 23, 1963. The “Walk to Freedom” celebrated its 50th anniversary in 2013. That day, Martin Luther King III addressed thousands, with a sentiment similar to that of his father in 1963. Today, Detroiters are memorializing the March by biking over 10 miles to various sites that King visited that day, including Cobo Arena, where he gave an early version of the “I Have a Dream” speech. Part of MLK's speech in Detroit on June 23rd, 1963. The full text and audio of the 35-minute speech can be found here. Communities across Michigan are marking today’s Martin Luther King Jr. holiday with ceremonies and service projects. Educational consultant Anthony Muhammad told a group in Flint this morning about the need to encourage young African-Americans to pursue their education as a way to fulfill Dr. King’s dream. Muhammad says Dr. King would be “appalled” at the state of race relations in America. Muhammad cites the Flint water crisis as an example of unequal justice in America. Events honoring Rev. King around the state include an all-day celebration at the Charles H. Wright Museum of African American History in Detroit, free admission to the Sloan Museum and Buick Gallery in Flint, and a Peace Walk Celebration in Southfield. 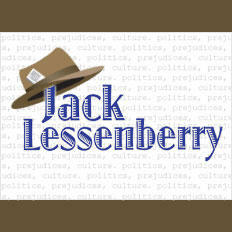 Details for those and other events can be found at the Detroit Free Press. If you want a moment of reflection today, you could save this for 3 p.m.
At that time 50 years ago today, Martin Luther King delivered his "I Have a Dream Speech" on the steps of the Lincoln Memorial. His speech came during the centennial of Lincoln's Emancipation Proclamation. Bell-ringing events around Michigan are scheduled for 3 p.m. today. The Michigan Department of Civil Rights is helping to coordinate these events. The University of Michigan celebrates the life of the Rev. 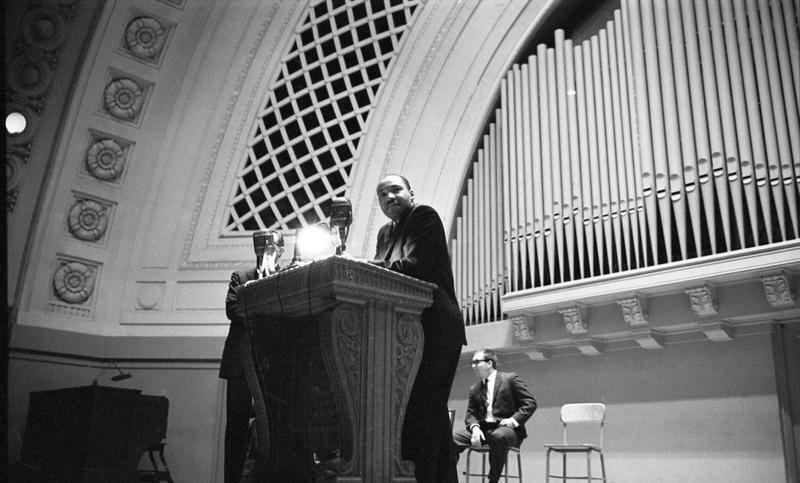 Martin Luther King Jr. by holding annual symposiums on campus. But it seems no one knew of King’s visit to campus in 1962 until an enterprising person at the Bentley Historical Library combed through their collection. For many Americans, the life of Martin Luther King Jr. means mostly that they get a day off from work or school, a day in which the banks are closed and the mail doesn’t come. 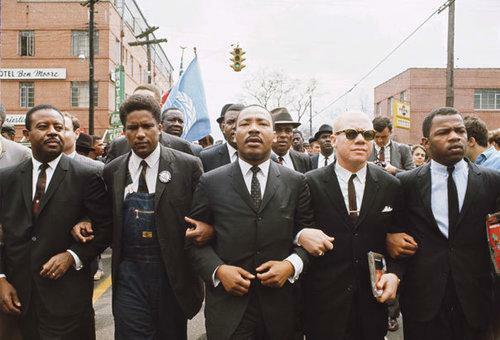 They may also know him as a one-dimensional icon of the civil rights movement, who repeatedly said “I have a dream,” during some famous speech a long time ago, and also said, “I may not get there with you, but we as a people will get to the promised land,” and then got shot. 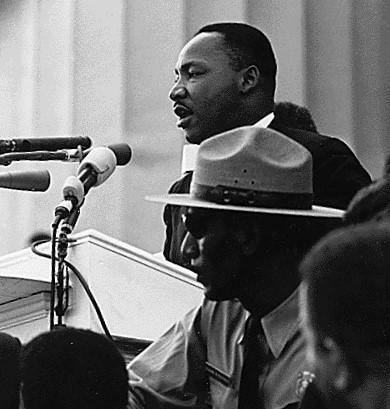 Fifty years ago this weekend in Detroit, Dr. Martin Luther King Jr. previewed his “I Have a Dream” speech before the historic March on Washington. 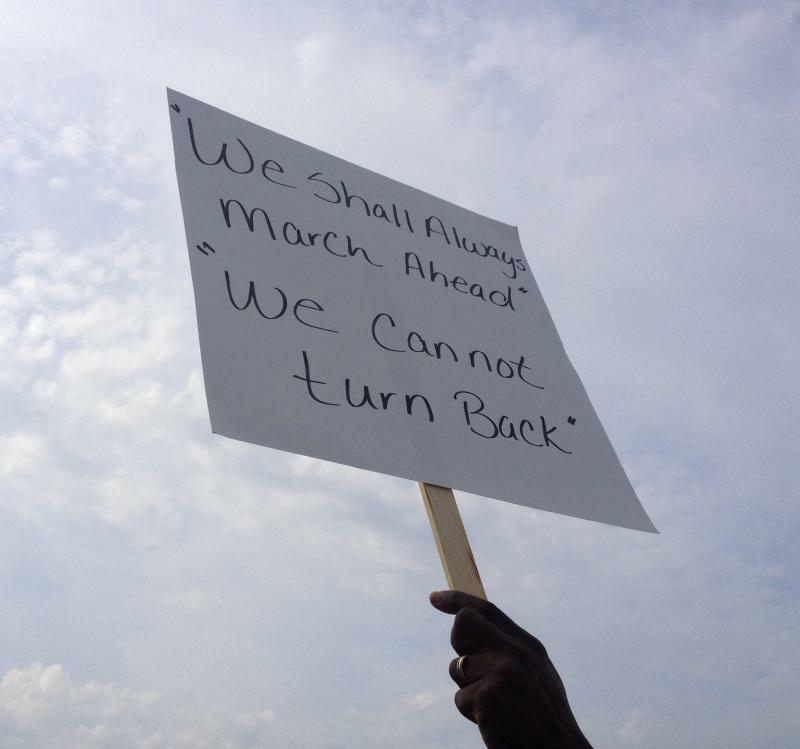 This morning, Detroiters honored the occasion with a modern civil rights march. Detroit's Martin Luther King Jr. High School's band led thousands of marchers down Woodward Avenue to Hart Plaza where scheduled speakers included King's son and the Rev. Jesse Jackson.